The Gold Coast is a bustling, modern Metropolis of culture, diversity and a nuanced and dignified night life. 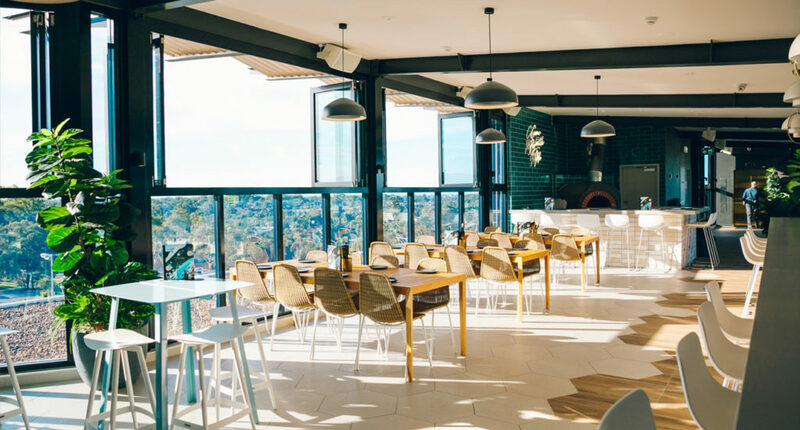 But all jokes aside, it’s impossible to deny that between the beautiful blue of the Pacific Ocean and serene Hinterland, the Gold Coast is a pretty great backdrop for a night of alcohol-fuelled fun and what better way to experience this than atop one of the many rooftop bars taking the Coast by storm? So grab a vodka-raspberry, jump in the stretch Hummer, turn up the Post Malone and slap on enough orange spray tan to be elected President of the United States because we’re heading south to check out the best rooftop bars the city has to offer. Burleigh’s home-base for gorgeous pizza and pasta, Justin simply requests that his guests “Eat, Drink and Be Messy” which just so happens to be our three favourite things to do. Proud to be Burleigh’s first rooftop bar, Justin’s Rooftop packs enough space for 70 guests with strategically placed misters for surviving the rancid summer heat. A self-proclaimed “collective hub” deep on the south side of the Gold Coast, The Collective’s chilled aesthetic is very much inspired by its Palm Beach setting. Get away from the mayhem of Surfers and chill out with mates in the open air. Relax, take your time, you’ve over 20 original Collective cocktails to try. A scenic escape from the teenagers inevitably celebrating their nineteenth at the Star, Nineteen at the Star sits safely above the casino floor and promises unparalleled, sweeping views of the Pacific Ocean. The private booths are perfect for anyone wanting to enjoy a luxurious, VIP experience complete with bottle service, but don’t worry – it’s still the Gold Coast; wait until the sun goes down for a DJ to take the stage and the dance floor to come alive. The streets of Surfers Paradise aren’t exactly famous for being the “chillest” place in the world, so when it’s time for a break from the chaos, know that a floating oasis is waiting for you high on the roof of The Island Hotel. This rooftop bar is whatever you want it to be; relax in the private areas or vibe to the live music. A place that swings from gin and jazz to UFC pay per views to a Christmas cabaret show is truly the Fantasy Island of bars. The clear winner of the award for Most Memorable Name, Mr. P.P.’s uses its cabinet of cured meats, delectable selection of cheese and gourmet pizza and pasta to create a devastatingly good dining experience. Built on the site that housed the Postmaster General for over 100 years, Mr. P.P.’s seamlessly weaves its history through its present with poems, drawings and songs written by its namesake, P.P. Agnew, displayed across the venue. 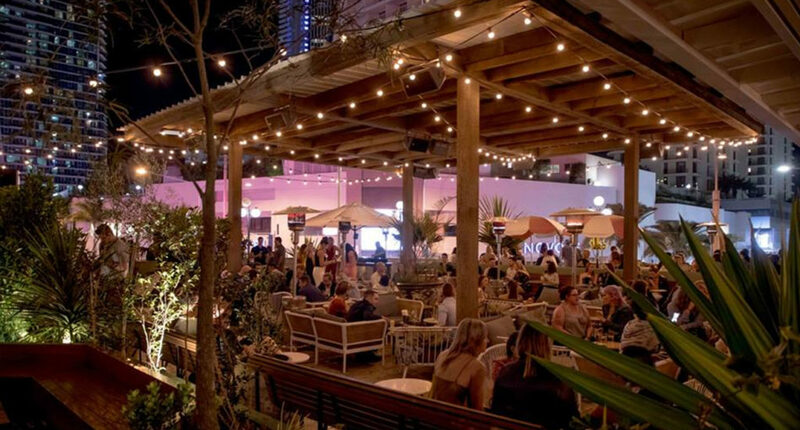 The rooftop bar packs a pretty trendy vibe but never fear, the “classic” Gold Coaster will find themself at home too with DJ’s on Saturday night and sun-bathed Sunday afternoon sessions. Wildernis is the passion project of two mates who were sick of their construction jobs and decided to build (no literally, they built it themselves) a cool new bar that promises patrons cold beer and good food while overlooking the beach, in a sequence of events so Australian, it sounds like a Cold Chisel song. 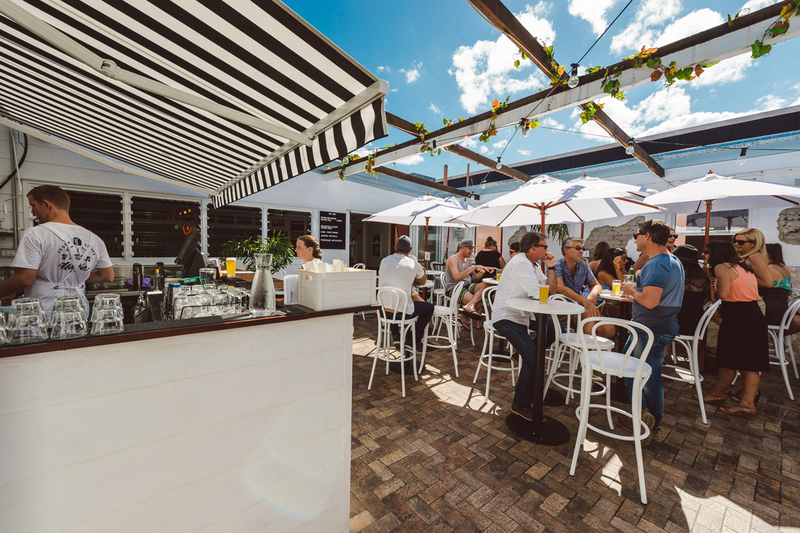 Wildernis has become the place to be in Palm Beach for breakfast, lunch or dinner along the ocean – but we’d recommend enjoying the sea breeze at sundown while sipping on their signature Espresso Martini. We live in the lucky country, after all. Next time you’re at the Gold Coast, take your night to new heights.